The Executive Faux Leather Apple Watch Adapter blends seamlessly with the top-rated and high-quality expected of any MobileVision charging station organizer. Combo includes Executive Apple Watch Adapter and popular selling Slim Executive Stand for Smartphones, Tablets, Laptops. 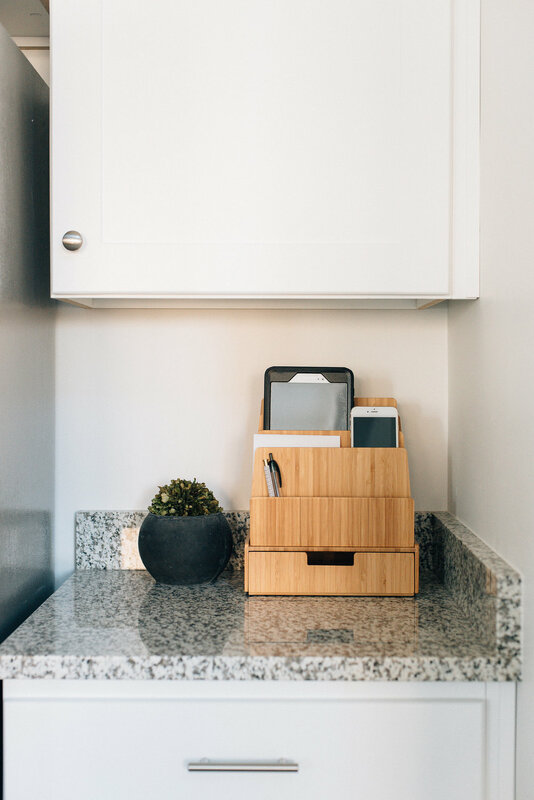 Create one central charging station location for all your tech gadgets. The adapter's top is exclusively designed to fit Apple Watch chargers and cables. (Apple Watch Charger and Charging Cable NOT Included. MobileVision Bamboo Apple Watch Adapter ONLY compatible with Original Apple Watch Charger. (0.33in x 1.1in / 8.3mm x 28mm) Hide and manage the long cord easily inside the Executive Faux Leather Stand base. No hassle assembly required. Simply clip the adapter to the sidewall of the stand base and it is ready for use.